Looking into the container from the top. Soon our son will be married to a lovely young woman who has stolen our hearts. She will be a wonderful addition to our family. First, the festivities for the important day must be planned. The Rehearsal Dinner is our area of responsibility. The restaurant is chosen, the menu selected, the guest list composed. We have lots of out-of-town guests attending. Many relatives from both sides of the family have been invited to attend the rehearsal dinner. It will be a great time of fellowship, a time to get to know each other before the big day. 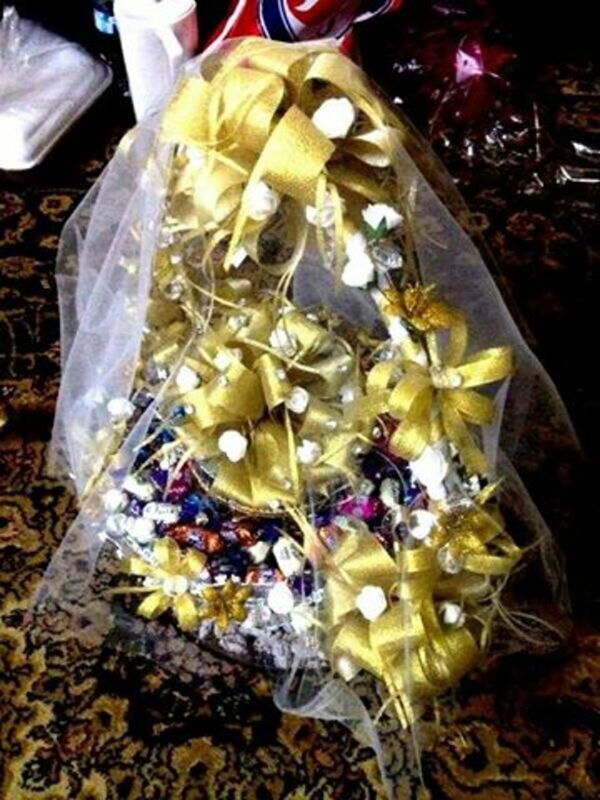 The bridesmaids and groomsmen will attend as well. Traditionally, the bride and groom provide gifts for the attendants. We attended the rehearsal dinner for our niece two years ago. She thoughtfully gave gifts to everyone in attendance. 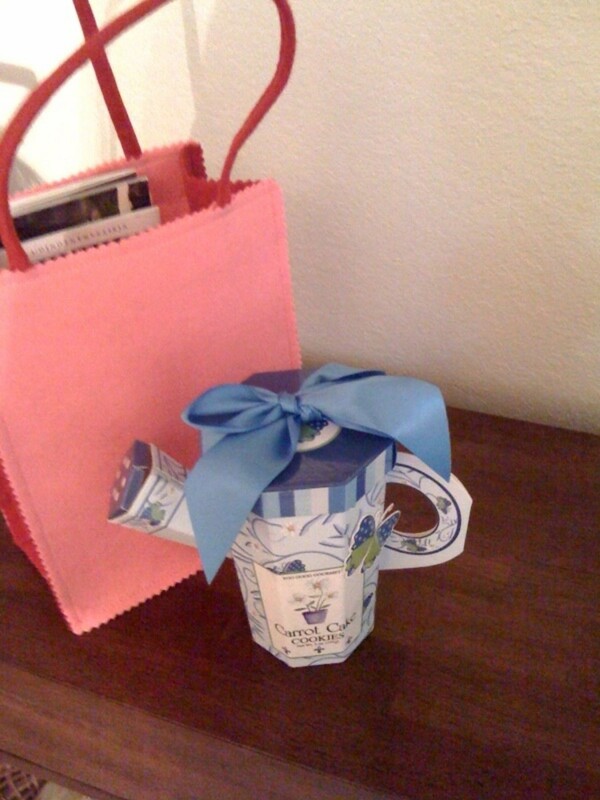 As the Aunt and Uncle from Texas, we did not expect to be gifted, but were delighted that she thought of us. I too want to bless the family members and close friends who join our happy pre-nuptial celebration. A visit to Tuesday Morning, a local retail store, provided my answer. They were selling gourmet cookies in unusually appealing containers. 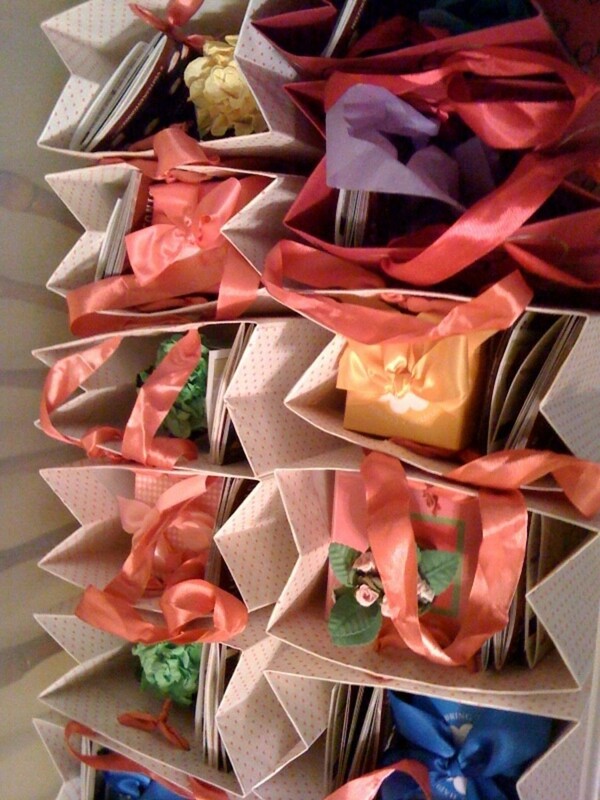 The boxes had flowers and shapes that made them special for gifts. 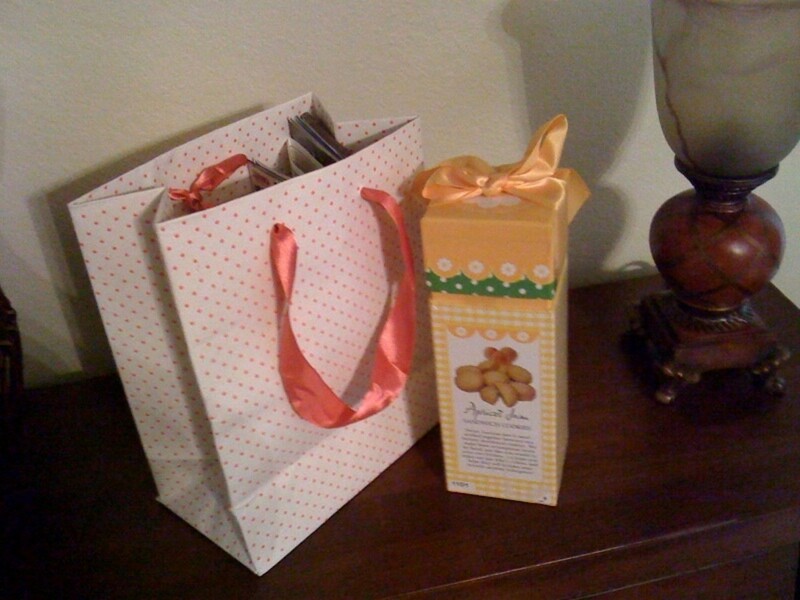 I purchased cookies for each set of grandparents, aunts and uncles and close friends. 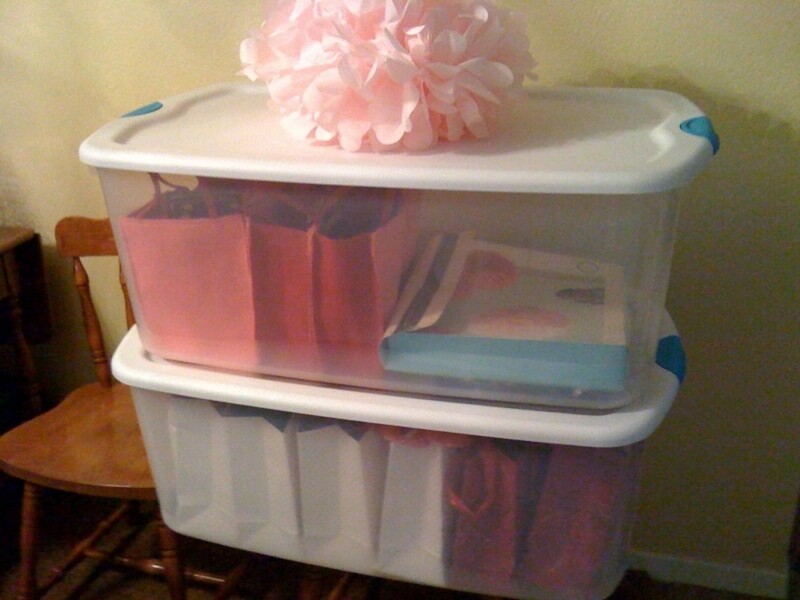 Because of the size and weight, it seemed important to have a sturdy bag for each container. 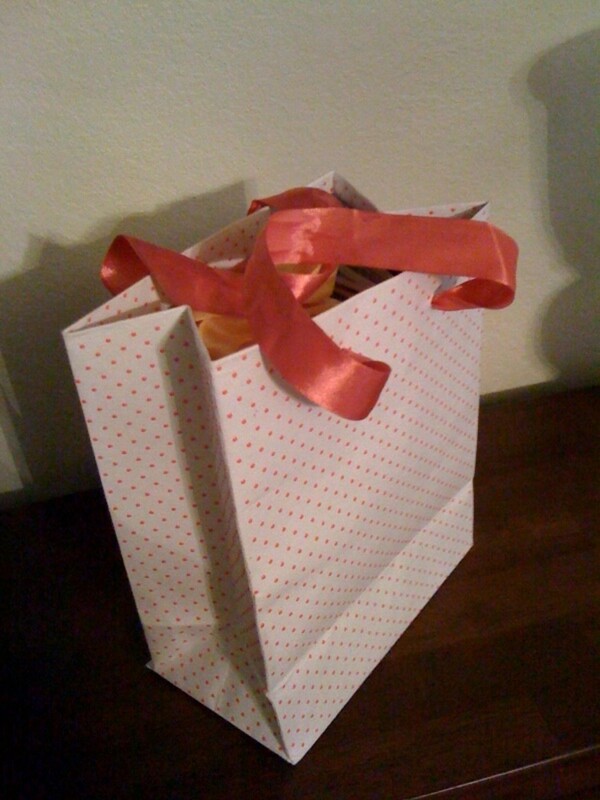 Again, the gift bags at Tuesday Morning are always a great buy and they carry a varied selection. Each bag has a box of cookies. 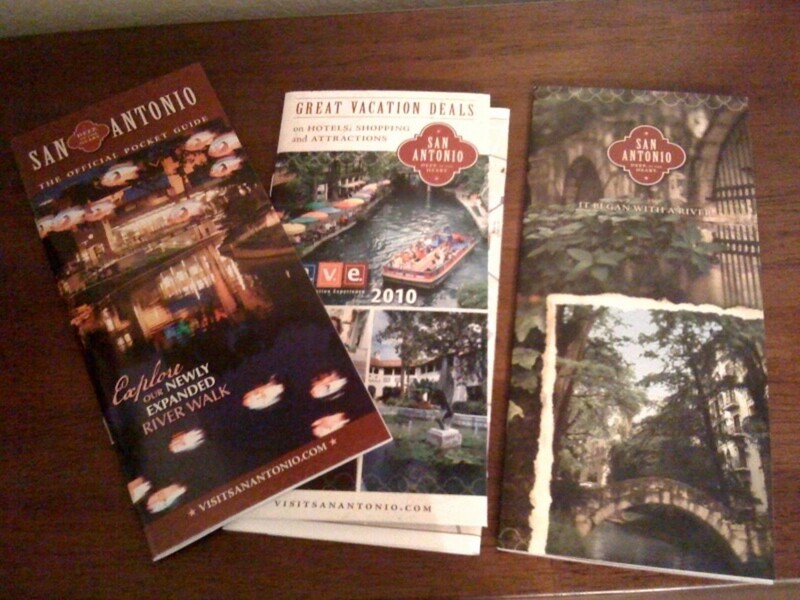 In addition, the bride's family found tourist maps and brochures for local sights in the area. Armed with these flyers, the out-of-town guests won't get lost and they can find reduced tickets to some of the local tourist attractions. I will probably add some hard candy to the bags, for the sweet tooth. I used two types of bags. 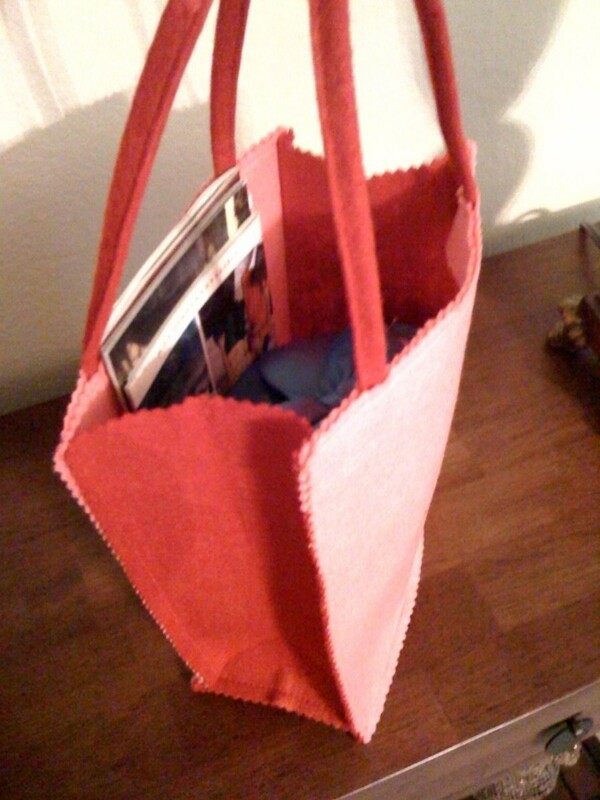 One is a flannel reusable bag, intended for the grandparents, that added an antique touch to the gift. They are unique, strong and colorful. 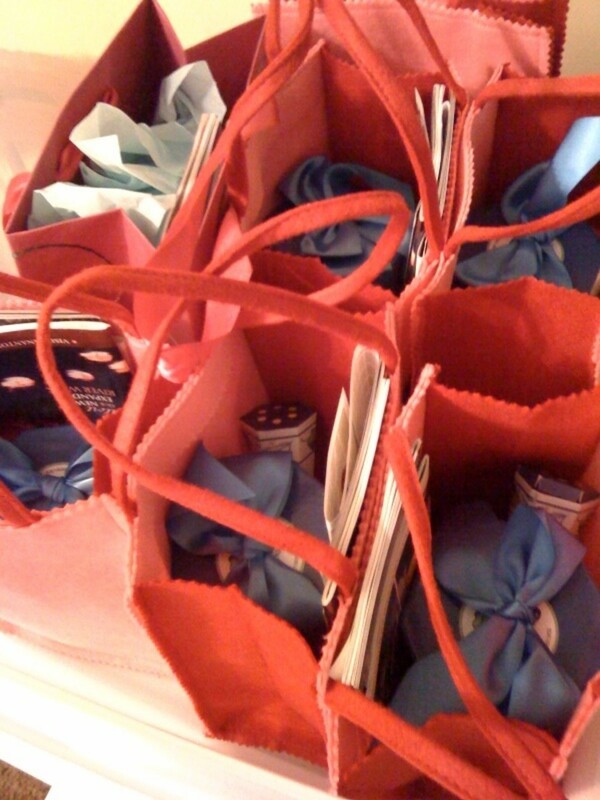 The other guests have sturdy gift bags that won't break with the weight of their items. The day is approaching quickly. Our gifts await their departure in large tubs perched on chairs in the dining room. We will load them into the back of our SUV for transporting. It seemed an easy way to carry lots of smaller items. We also volunteered to put together some decorations for the wedding reception. The papermache flower is a decorative item for the reception. It will be hung from the ceiling with ribbon to decorate the dance floor. There will be thirty or more of these cheerful decorations made prior to the big event. Because of transportation issues, we decided to construct these on-site. The kit comes with papers in several shades of pink to provide variety. I am getting excited about this wedding! Can you tell? Learn about Rehearsal Dinner on eHow.com. 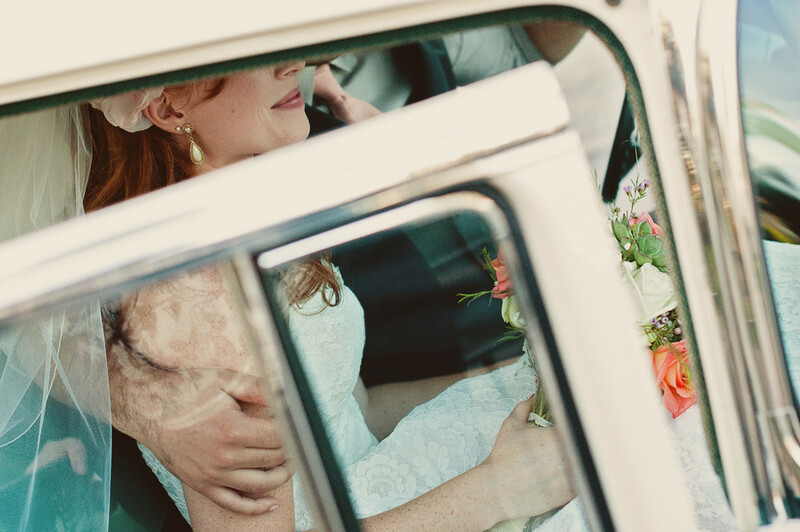 Find info and videos including: How to Budget for your Rehearsal Dinner, How to Choose a Date and Time for a Wedding Rehearsal Dinner, Rehearsal Dinner Invitation Etiquette and much more. Thanks Rick for the referrals. 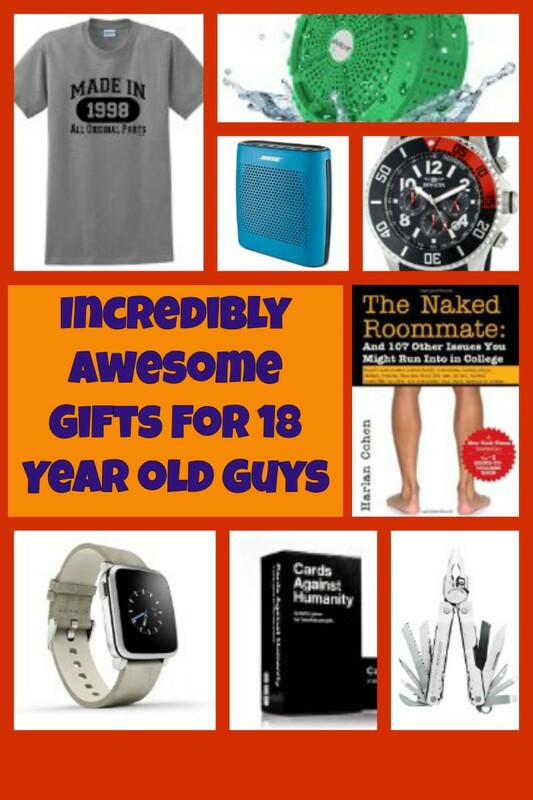 I consider these hubs fun ones to write and interesting reading topics. Have a great day! Hi Carrie, Thanks for sharing your information. We too have planned to use pictures of the couple on the tables for the rehearsal dinner. Our dinner will be held in a nice Mexican Restaurant, so it will be colorful. Awesome information! Good ideas. Our son got married last summer and while planning his rehearsal dinner I found the most creative idea for DIY table centerpieces using photos that also served as our seating chart here: http://www.celebrationideasonline.com/rehearsal-di... The idea was so clever that I just shared it with my daughter's soon to be mother in law and now she is using it for their rehearsal dinner too. Thanks Mboosall! 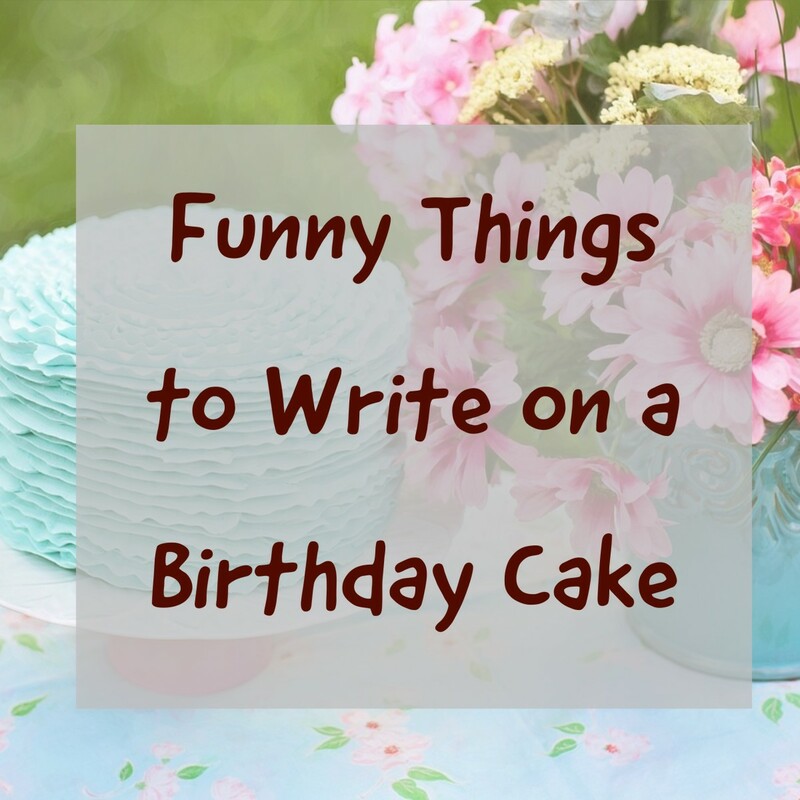 There are so many creative ways to celebrate today. The ideas are limitless. Thanks for sharing yours. fun! my sisters both got married in a span of 8 months. My oldest sister got creative with her rehearsal dinner and made it cow boy themed. There was really no reason. It was just fun and silly. They got Famous Dave's catered and we just hun out at my church. Then my other sister, just had pizza. Both were simple, fun, and cheep. People think they need to toss so much $$$ into their weddings, why put so much into a rehearsal dinner. Yes,it is an exciting time and I am happy you are writing and sharing. Thank you. This was helpful! I saved it for ideas for my 3 boys. Great idea.